After each order, 1-800-FLOWERS.COM gives all customers the option of providing their feedback on the quality of the products and services they receive. We look carefully at all feedback, both positive and negative, and value your insight as we continue to improve as your Florist of Choice. We're also grateful for the many kind words that have been submitted from all over the country. I have bought from 1-800-FLOWERS.COM before and I do like the fact that it's simple and offers prompt delivery. You guys do a great job working with the customer and are very flexible. Thank you! 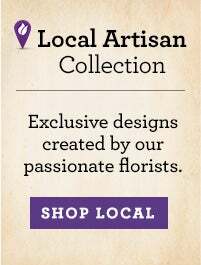 Our family uses 1-800-FLOWERS.COM for most, if not all, of our floral and gift orders. They have always been punctual and well-received. I continue to recommend this website to my friends and family. Everyone says your flowers are beautiful, fresh, and long-lasting...thanks!! I am so grateful that at this sad time of loss your company is available from my home. Thank you so much. It's an easy site to use and I did not have any problems. The prices are reasonable and your arrangements are unique and very beautiful. I will definitely be using this site again! My last order placed with your company was handled in a fantastic manner. The order was sent to a rural area and everything was perfect! Thank you! Your company has delivered exceptional quality in both the product that I purchased and the service that you provided. 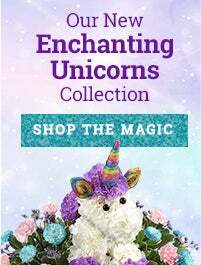 We have used 1-800-FLOWERS.COM a few times for gifts. Whether we call or order on line it has always been easy and friendly. Everyone who has received a gift has loved it. I have ordered from you many times and have never once been disappointed. I hope this trend continues! I have used 1-800-FLOWERS.COM before and will use them again. It is a great place. Great web site--lots of variation in prices so you can spend exactly what you want. They are very customer oriented. I have always been happy with my purchases at 1-800-FLOWERS.COM. I find that it is the best way to send a gift that is guaranteed to be as advertised. I was sick a few months back and received many flowers. Some of my flowers didn't hold up. When my husband called, they quickly replaced them. I was very pleased by the service, so when my friend became ill I purchased from 1-800-FLOWERS.COM! My first experience with 1-800-FLOWERS.COM was when my daughter sent them to me at my Florida home. They were the multi-colored roses. They were the most beautiful flowers I have ever received and lasted over 2 weeks. Since then, I have used this service whenever I have to send flowers. 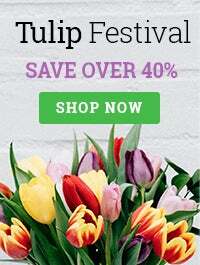 I am very pleased with 1-800-FLOWERS.COM because they keep me informed on promotions and they show they appreciate my REPEAT business by offering discounts on future orders. I like that. I am a repeat customer. I have always been very pleased with 1-800-FLOWERS.COM. I love the fact that you had an all purple rose selection! I looked on many other flower web sites and this was the only all purple all rose selection that I found. My girlfriend loves purple and I pray that you all will be able to get more items like this. I have used this service before and have been highly pleased at the quality of flowers. The flowers that have been delivered are amazing. Thank you 1-800-FLOWERS.COM. 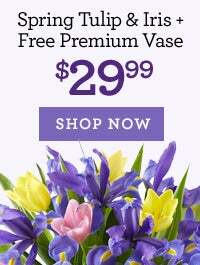 1-800-FLOWERS.COM is consistently the best choice for quality and timeliness. Plus it has a wonderful selection to choose from. I have always been very happy with your service. Your site is so user friendly and the flowers are beautiful. Quick response on the web site, very smooth transaction. Thanks!